HomeContestWIN Tickets To Attend H:CONNECT x Yoona Fanmeet in Singapore! Meet Girls’ Generation’s Yoona when she is here in town for the H:CONNECT event on coming Saturday, July 21! As the brand spokesperson for fashion brand H:CONNECT, Yoona will be holding a Fanmeet for her fans at Bugis Junction, where fans will be able to catch her up-close and stand a chance to get her autograph on stage. Tickets and gifts subject to availability. We are also giving away 5 pairs of Zone C tickets with courtesy from H:CONNECT Singapore! 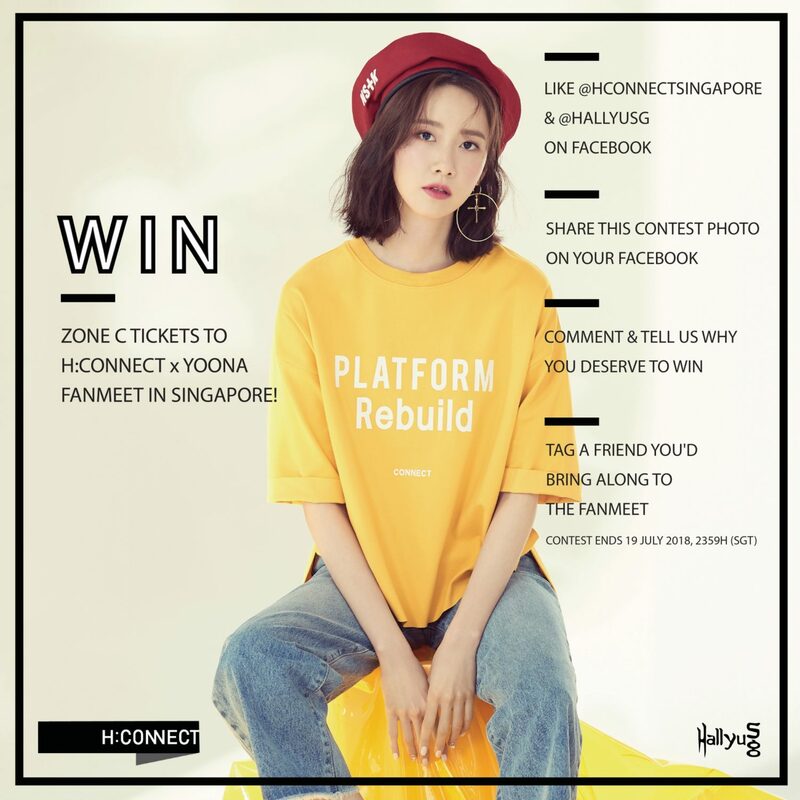 Stand a chance to WIN a pair of Zone C tickets to H:CONNECT x Yoona Fanmeet in Singapore! Leave a comment on our contest post and tell us why you deserve to win the tickets. – Only single entry is allowed per Facebook user. – The giveaway will end on 19 July 2018, 2359 hrs. Winners will be announced on the FB contest post itself within the following 24 hrs after contest has ended. Visit H:CONNECT Singapore’s Facebook page here for more information!